Have you ever wondered how many hours of training it took Darth Vader to become a Jedi Knight? Did he take extra evening classes? It takes over 2 years of training to be a Japanese Fugu (pufferfish) Chef and yet a third still fail the exam. When it comes to the Cantonese, it’s all about sifu – the term for being a skilled master. A sleepy Castlecrag shopping center seems like an unusual spot to find a sifu in Cantonese cooking but the locals got the memo. 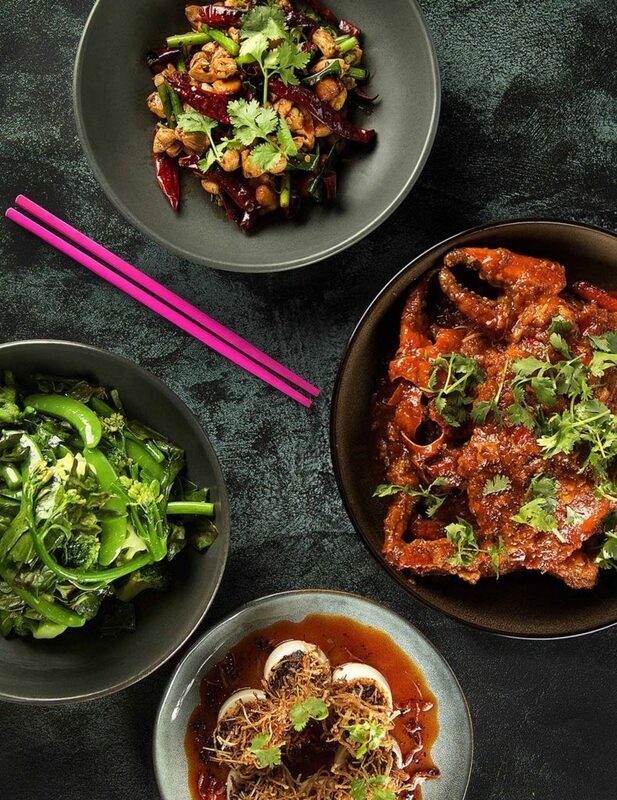 Canton Kitchen is the brainchild of Jason Chan (ex Merivale’s Queen Chow, Andrew McConnell’s Supernormal and China Diner). 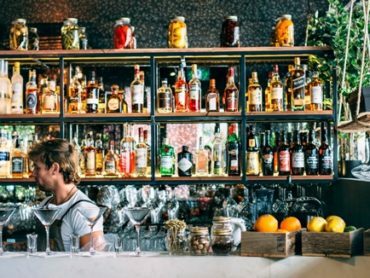 The interior has a street food vibe with a black ceiling decorated by hanging lobster pots and coloured wicker baskets. 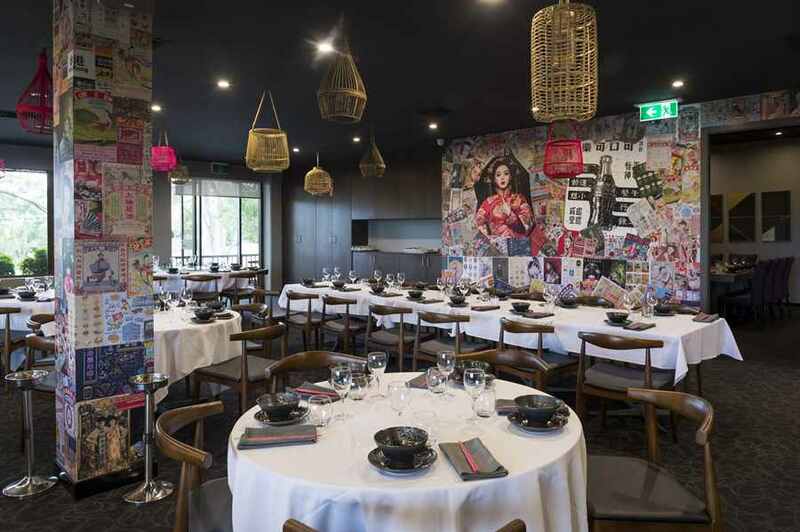 Walls are plastered with Cantonese newspapers, pull outs from magazines and pop culture, with the main wall dominated by mural of a stunning red dressed woman whose gaze will be forever judging your pink chopstick technique. On a Saturday night, take out orders are flying out of the kitchen, (why did we not try those honey prawns?). Classic salt and pepper squid is far from anything traditional. It’s a ripper. 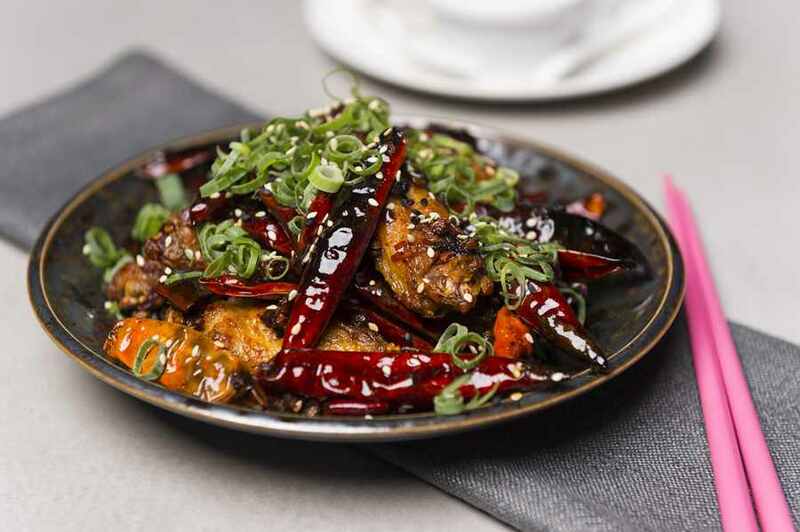 Succulent squid is encased in an attitude busting crunchy coating, dusted with schezwan pepper, jumbled with freshly sliced chilies and spring onion. It’s a Hong Kong riot in a bowl. The mains are superior versions of anything we’ve had elsewhere. 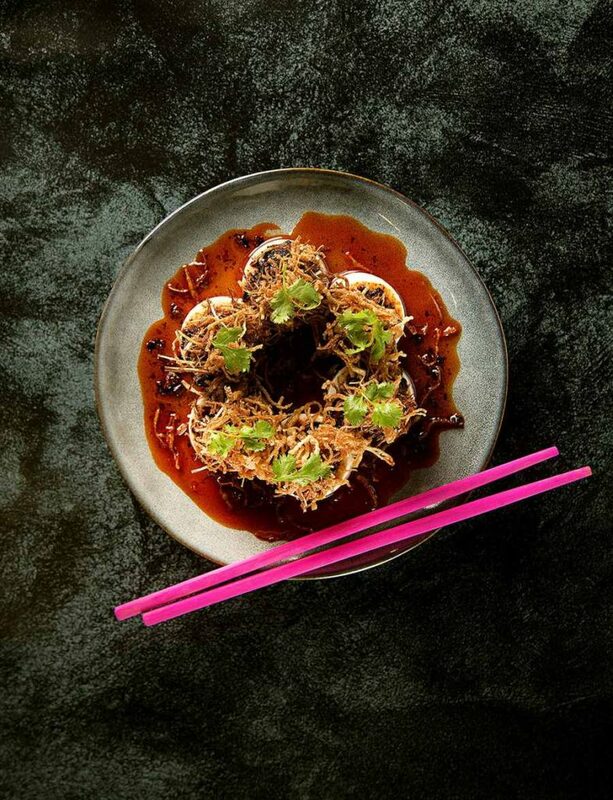 Stir fried mushrooms may emit a ‘mweh’ normally, but here, each morel, king oyster and enoki ‘shroom has its own flavour profile, add snow peas and deep fried crumbed silken tofu and we get every hit of umami. At $42 the garlic butter moreton bay bugs is a bargain, 3 perfectly cooked bugs, split in half and arranged in an honor guard arch revealing silky white flesh that just melts in the mouth. Kung Pao chicken gives us knockout punches with whole macadamias and dried chilies which dont sit out any round. It’s a perfect combo with Canton Kitchen special fried rice laced with hunks of spicy chinese sausage, prawn and corn. This is Guangdong cuisine as we have rarely had it before, at prices which are more refreshingly than a glass of Asahi. Canton Kitchen is about to wake up this sleepy little suburb with a loud gong. Just get your seat at the table before the rest of the province hears about it.